[by Hwang Ji Hye/ translated by Yanchingsally Chu] If you want a celebrity-like flawless skin that looks perfect even on the screen of high definition digital TV, healthy skin care is essential. Take a look at this for healthy elastic skin. 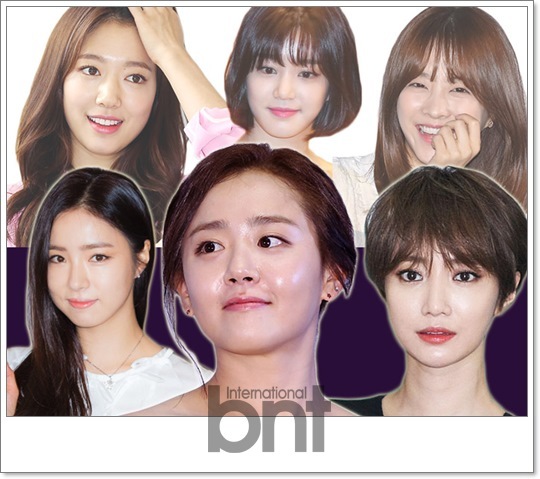 If you want a flawless brightened skin like those of Moon Geun Young, Shin Se Kyung and Go Joon Hee who have been actively participated in dramas recently, it is recommended to put effort into skin care. Skin care tips for an artist-like clear and translucent skin will be introduced. Drinking more than 2 liters of water a day can increase moisture content of the body and skin elasticity. If you drink lemon water that contains lots of vitamins instead, it helps detoxify the body to get clear skin as lemons contain vitamins that remove toxins in blood. Also, lemon water can strengthen the immune system to get a healthy body. Add lemon and honey to hot water or add juice obtained from a lemon to a glass of water and drink it to remove toxins in your body and boost skin elasticity. The regenerative ability of the skin worsens as we become older. Therefore, if you neglect the accumulation of the colorings of cosmetics and skin wastes on the skin, the regenerative process is affected and aging occurs easily. To avoid aging, cleansing is one of the good ways. Doing deep cleansing to remove residues remained deep inside the skin is one of the methods to have youthful healthy skin. If they are not removed thoroughly and keep accumulating on the skin, it prevents the absorption of nutrients. Therefore, meticulous cleansing is needed for a young-looking skin. If you want a celebrity-like moisturizing skin, do nourishing skin care thoroughly. In particular, the weather has become cold recently leading to the big temperature difference between indoor and outdoor. As a result, the skin loses its balance easily, and so supplying nutrients to dry skin is recommended. When the skin loses moisture rapidly, it becomes dry and the elasticity decreases. 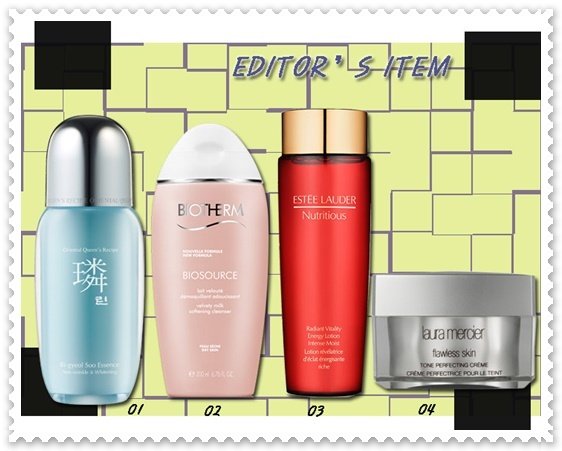 Use highly functional herbal skin care products to do meticulous care at this time. In particular, using herbal products that contain ginseng can supply nutrients, improve wrinkles and whiten the skin. 01. RIN BI-GYEOL SOO ESSENCE: This is a luxury herbal skin care product of Hansaeng Cosmetics that undergoes 50-year-old traditional extraction method. It is a highly functional herbal essence that revitalizes and energizes tired skin with whitening and wrinkle reduction functions. 02. BIOTHERM BIOSOURCE Cleansing: This is a cleansing foam for dry skin that turns into soft foam when it comes into contact with water to clean your face clearly and gently. It can remove residues deep inside the skin with its creamy texture. 03. Estee Lauder Nutritious Radiant Vitality Energy Lotion: This is a moisturizing lotion that provides anti-oxidizing effect with pomegranates. It is a lightweight and refreshing toner to supply minerals and antioxidants to revitalize the skin. 04. Laura Mercier Flawless skin Tone Perfecting Crème: This is a whitening cream that brightens up dull and dark skin for a brightened and translucent complexion as though your skin has been edited using Photoshop. Previous articleWhat is the Secret of The Skin of Yoona – Suzy – Yuri that Matches All Makeup?